Blockchain-based payments processor Ripple release its Q2 2018 “XRP Markets” report, detailing the developments in the use of its native digital token XRP. Released on July 24, 2018, the report claimed Ripple Labs accounted for only 0.125% of XRP in Q2 2018, representing just $55 million of the tokens total sales of $45.35 billion in the ended quarter. Described as a “drop in the bucket” compared to the XRP market, Ripple stated direct sales of XRP tokens amounted to only $16.87 million and were conducted via XRP II LLC, a subsidiary of Ripple Labs legally registered as a money service business. Regarding price action, Ripple pointed out the unusual low volatility of XRP in the quarter and compared its 9% decline to Bitcoin’s 8.2% decline in price volatility. For escrow activity, the Ripple claimed 3 billion XRP was released from escrow in the ended quarter, for each month, and 2.7 billion XRP was deposited in new escrow accounts. As stated in the XRP Markets Q4 2017 report, Ripple Labs locked up 55 billion XRP in an escrow account protected by encryption. The company can access only 13% of XRP’s total circulatory supply of 40 billion tokens. Meanwhile, the report shed light on new XRP participants for the ended quarters, such as content monetization platform SB Projects and micropayments application Coil. Ripple drew attention to its decoupling from XRP’s market performance, noting the token’s prices dropped in sync with the overall cryptocurrency market, while Ripple Labs itself had an impressive quarter end. 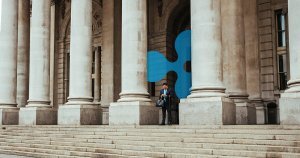 As reported by CryptoSlate in June 2018, the suit issued against Ripple alleges that gradual sell-offs to larger investors from the Ripple escrow account were conducted throughout the second quarter of 2018. Additionally, Ripple is alleged to have deliberately used its control over the XRP supply to drive prices higher strategically. As per data collated on CryptoSlate, XRP is the world’s third-largest cryptocurrency by market capitalization and trades at $0.48 at the time of writing.